Crate Tech Inc. is a custom crating and packaging supply company. Our crates and pallets are designed for the shipping of specific products, custom fitted to their unique design and durability. From fragile items such as glass and sensitive electronics to heavy duty industrial equipment we design to mitigate the inherent risk involved with shipping your product. Whether you are someone who needs to ship household goods or a company that needs to ship out a line of products we can provide the assistance & expertise you need. om foam products. We also offer onsite packaging services with technicians that have decades of experience. Crate Tech has a metals division that is able to assist in the design of any steel product needed by our customers. This includes having a steel fabrication plant that produces cutting- edge reusable containers. Our parent company is FCA Packaging – a company that designs and manufactures a broad range of heavy-duty industrial packaging products and services many of the world’s leading OEM’s in a variety of industries. 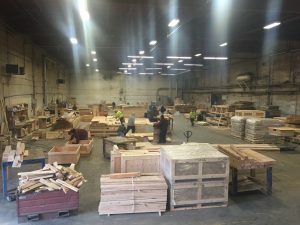 The custom crates we build are designed for your product to withstand shipping or storage. They provide the proper support for the product no matter its weight, which helps eliminate shifting, a common reason products are damaged during shipping. The main thing is that you’ll know your product is protected in our shipping crates. And because they are made of wood, they are cheaper to produce than most materials. 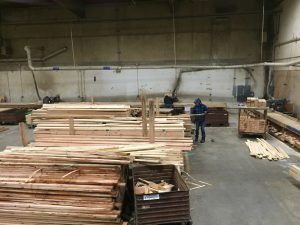 The pallets that we produce are also designed for heavy duty use and can also be customized to fit the product that will be stored on them or transported. A flimsy pallet can cause your shipment to shift during transport and damage not only the product on it, but items stored nearby. Our pallets are thoroughly tested and based on decades of experience. For products that are either too large or too delicate to move, we offer onsite services. This also ensures that your company keeps control of the product and minimizes any handling concerns you might have. Our onsite specialists have years of on the job experience and have the tools and expertise to handle any situation that arises. We are fully insured. Our Kent location works with businesses all across the Pacific Northwest including companies in Seattle, Tacoma, and Olympia, Washington. From what we offer at our Kent Washington plant to what our parent company, FCA Packaging can provide, we have the shipping and packaging products you require. Our job is to make sure you have no worries whether your shipping your products across country or storing them for extended periods of time in a warehouse. We have more than 20 years’ experience working with businesses of all types. Contact Crate Tech, Inc. today to learn how our company will assist you in your shipping or manufacturing needs. Call our office at (253) 872-6857 or our corporate office at (309) 792-3444.